Use these argumentative writing prompts to teach students about the civil rights movement. 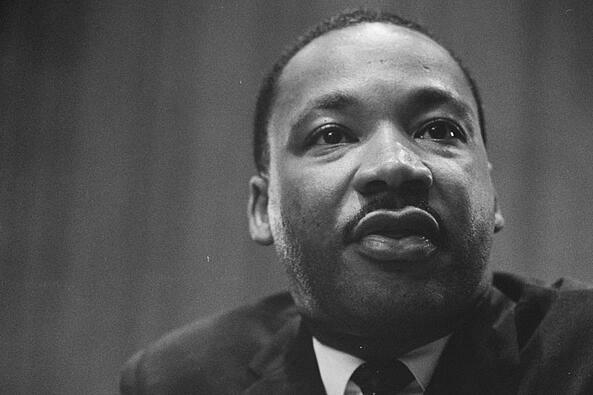 Teach your students about Dr. King’s legacy with these lessons about his impact on the civil rights movement. Each lesson is differentiated and pairs with an academic writing prompt as well. Writing prompt: What made Martin Luther King, Jr. such an inspiring leader? This lesson includes teaching resources and supports for developing bilingual students. Writing prompt: How did Dr. Martin Luther King Jr. influence people around him to fight for equal rights? Writing prompt: Which events were most important in leading to the passing of the Voting Rights Act in 1965? Writing prompt: What do Lynda Blackmon Lowery's actions suggest about fighting for what you believe in? Writing prompt: Why do protests offer an effective way to show that people feel strongly about something? Writing prompt: Why was Mrs. Elliott’s experiment so powerful?